This week we visited Ljubljana to see Goran Vuckovic the Associate Professor at the Faculty of Sport. 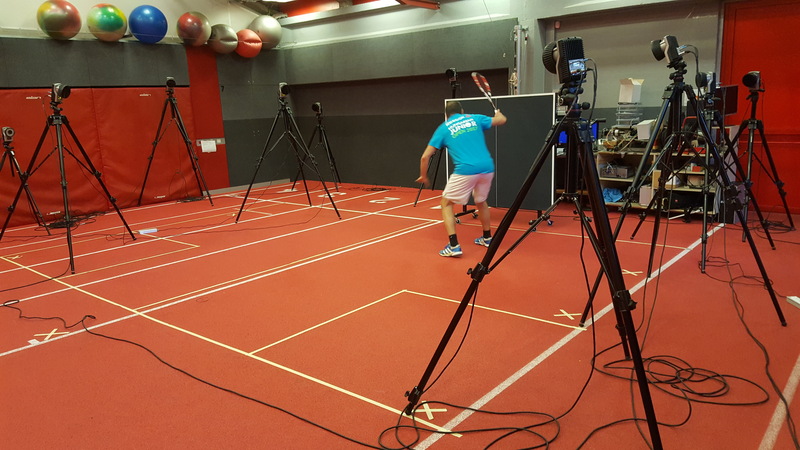 We went to do some accuracy testing of the racket tracking technology in their bio-mechanics lab, using a Qualisys camera system set up to do motion capture to an accuracy of 1mm. 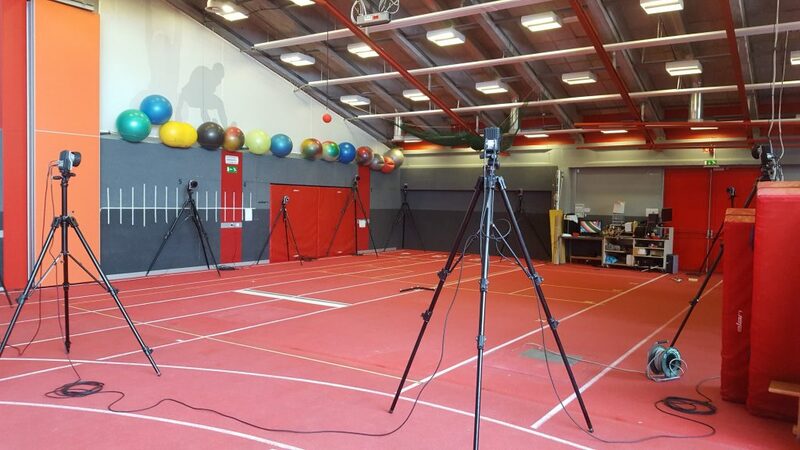 See photo above for the setup – twelve cameras around a court marked out on the floor of the lab. We then did some ghosting routines and some real ball strikes, all in typical patterns that a player would be likely to move in during a match to, simulate real match conditions. Three days work to set it all up and capture the data. 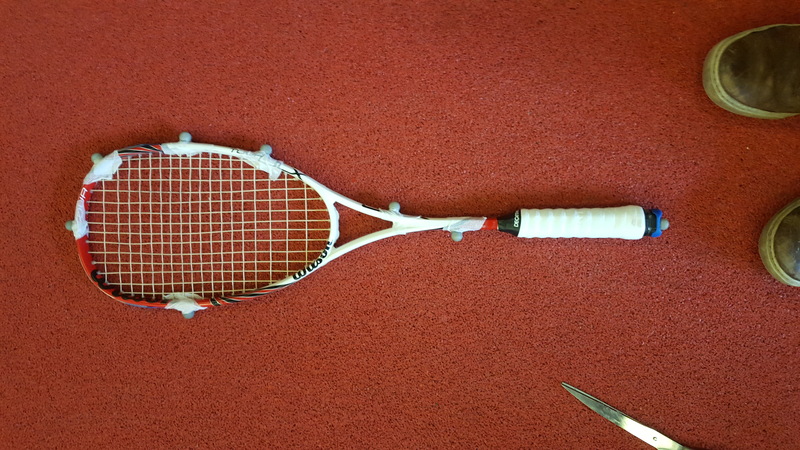 Next step to get home and analyse the data!